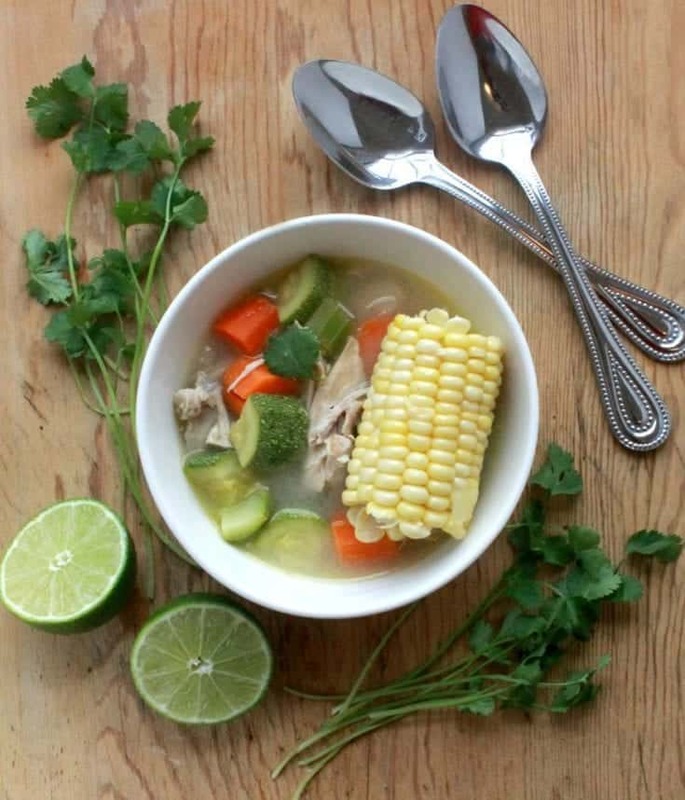 Nothing warms you up on a cold day like a bowl of Caldo de Pollo, or Mexican Chicken Soup. Hearty with delicious and authentic flavors south of the border. 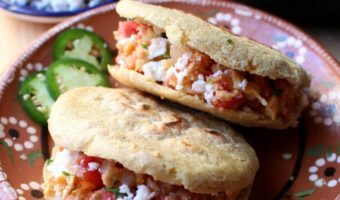 Watch the VIDEO below to learn how to make this authentic Mexican recipe at home. Whenever it is cold and rainy in California (Yes, it really does happen), I think of Caldo de Pollo, or Mexican Chicken Soup. There is something incredibly comforting about coming home with soaking wet feet after a day of struggling with your umbrella in the wind and enjoying a bowl of this soup. 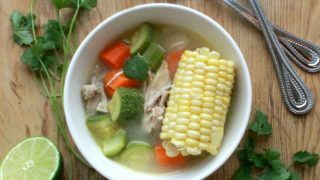 Every country, every culture has a version of chicken soup, but Mexicans make the best Caldo de Pollo, or Mexican Chicken Soup. I know. I know. I might be ever so slightly biased, but from one foodie to another, this stuff is totally la bomba! I think it’s because we include oodles of vegetables that people north of the border don’t use. See that corn staring back at you? I chopped the ear into small 3-inch pieces and let them cook with the other ingredients for hours. The longer they simmer, the better. Yum! Yum! 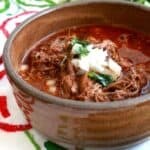 This is an authentic Mexican chicken soup recipe just like my mom and grandmother used to make. 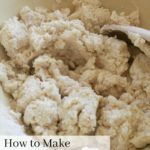 What type of chicken meat to use? In Mexico, we use every part of the chicken. I’m talking EVERY part. It’s a poor country, remember? There is no waste. If you can afford a chicken, might as well use all of it. If you go to a restaurant, you might see chicken drumsticks in your Mexican Chicken Soup. For this Caldo de Pollo recipe, I used thighs and breast because that’s what I had on hand. In the US, it seems like everyone is obsessed with white meat and chicken breast. I say use whatever you like and your family will eat. Lol. My son can be a picky eater. He has grown out of a lot of pickiness, but every now and then, he refuses to eat something. .. Ugh! When it comes to the vegetables (corn is a grain), I rough chopped everything all at once and set it aside. Why chop twice? If I know that I will be using carrots for a dish tomorrow, I’ll chop extra and save them in a plastic container. Unless I’m running around, I usually chop everything and prep all my food as soon as I get home from the grocery store. That way, cooking is easier throughout the week. The onion, I diced into tiny pieces because nearly no one likes to bite into a big piece of onion. My favorite veggie delight for this soup is the Mexican squash, or calabacitas. (See picture above). 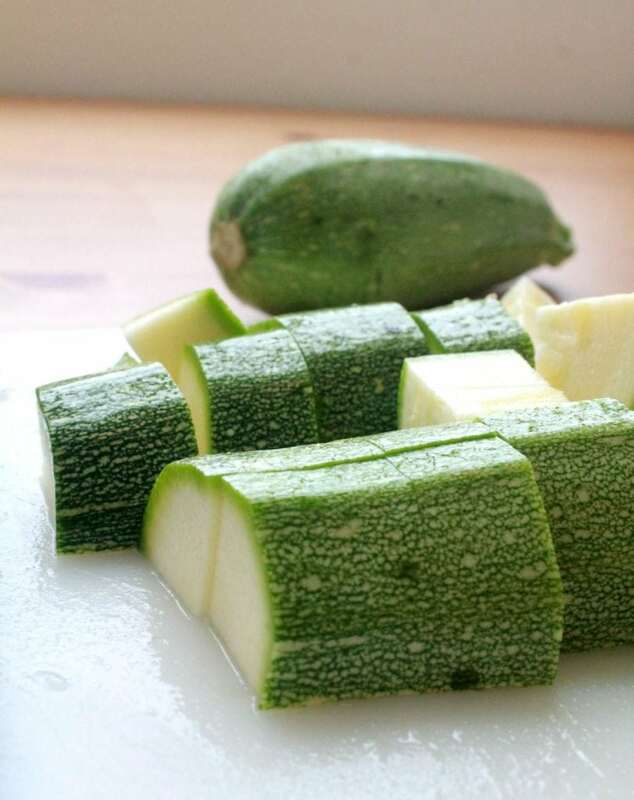 You can very well use zucchini if you can’t find Calabacitas at your grocery store. 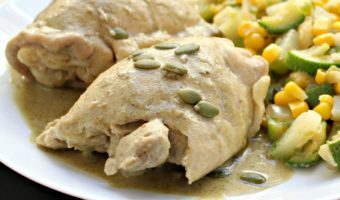 I prefer Calabacitas for my Caldo de Pollo, or Mexican Chicken Soup, because they are a little sweeter (and, cuter). I usually have to go to a Mexican market to find them though. 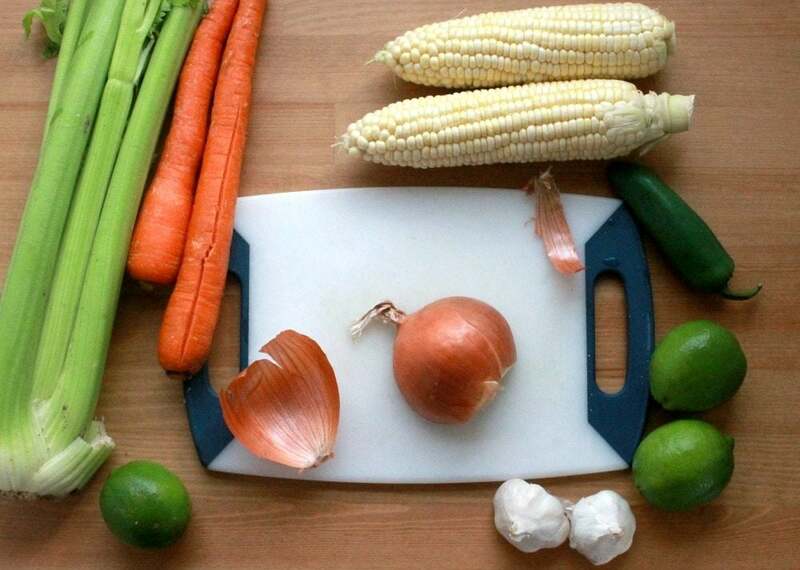 A good caldo de pollo recipe has a TON of vegetables. A mixture of any of these vegetables (or all) will make a hearty Caldo de Pollo. If you have homemade chicken broth, use it! There’s a depth of flavors in it that are awesome and hard to duplicate. However, that stuff seems to go very quickly at my house. I am using water for this Caldo de Pollo recipe. 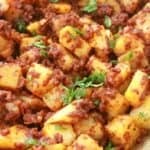 You can also add water and chicken bouillon if you have some on hand. Nowadays, they make chicken bouillon without MSG and totally natural. It is also a very popular ingredient in traditional Mexican cooking. Even just water by itself is good in this recipe. Be sure to taste for salt and need it, if necessary. If you have leftover liquid from this recipe, freeze it and use it in another dish. You can use pre-made chicken broth, and it will cut your cooking time in half. How Long Does Caldo de Pollo Last? In the fridge, 3-4 days. In the freezer, 4-6 months. Yes, you can make this chicken soup in the crockpot. Yay! Just add all the ingredients in the slow cooker. Set on low for 6 hours, or high for 4 hours. This comes together really, really fast! 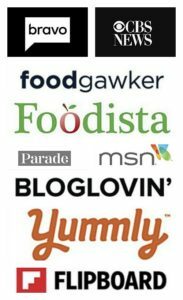 Add all remaining ingredients to the instant pot. Press Pressure Cook. Set timer 10 minutes. 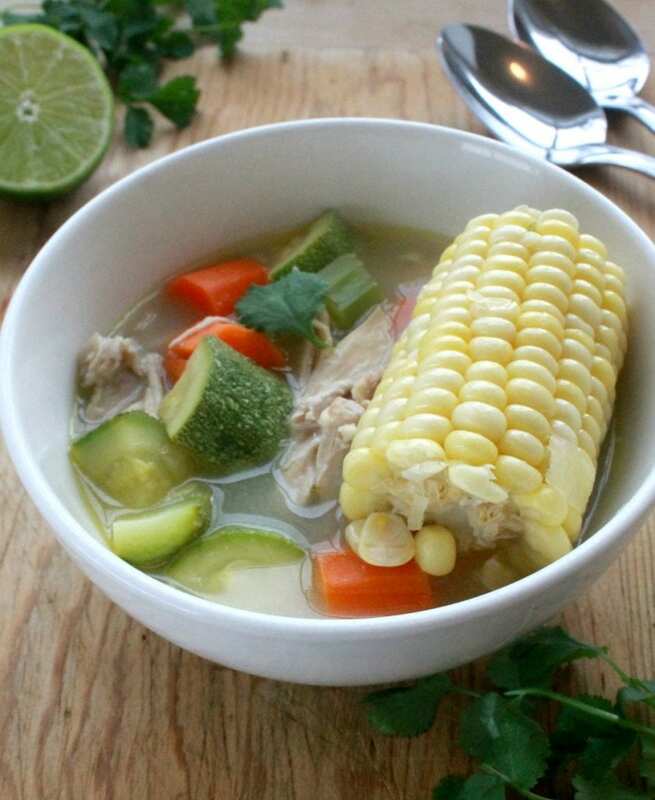 Caldo de Pollo, or Mexican Chicken Soup, is a comforting dish that everyone will enjoy. It takes on the flavors south of the border without overwhelming your palate. You do, however, always have the option of adding a little more jalapeño to give it a bit of a zing. To add more spice, you can add more jalapeño or a few slices of fried dried ancho chile. I sometimes will crush a chile de arbol or chile piquin, and add it to the broth. This Chicken Caldo recipe is so so good! 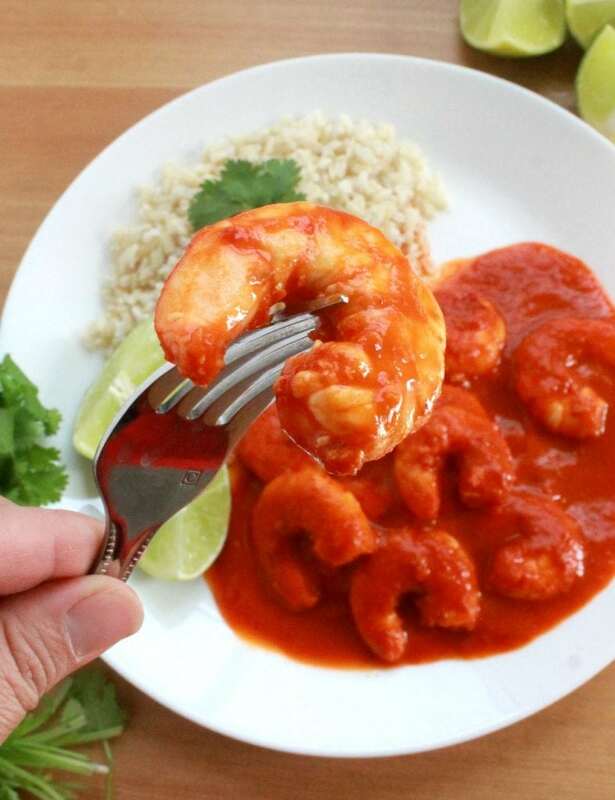 A fresh squeeze of lime juice will give it a tangy freshness. That outta get your cold wet feet dancing again. Enjoy! In a large stock pot, add 8 cups of water, chicken, 2 celery sticks, ½ onion, 2 garlic cloves, salt, pepper. Reduce heat and let simmer for 1 hour. Skim the fat off the top of the liquid. Discard the other ingredients from the pot except for the chicken. Set the chicken aside and let it cool. Once the chicken is cool enough to handle, remove meat from the bones. In the same pot, add the remaining celery, onion, garlic, carrots, squash, jalapeño, corn, reserved liquid from the cooked chicken, salt and pepper, bay leaves, lime juice, and chicken. Make sure the liquid is 2 inches above everything in the pot. If not, add water and more salt. Cover and cook for 45 minutes on low heat. This looks soo good ! Thanks for sharing. I love a good hearty soup. I would indulge in this minus the chicken I would have to make this veggie style!